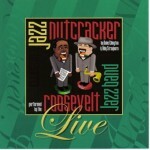 This week on Jazz Northwest we’re starting the holiday season by revisiting some of our favorites: the Roosevelt Jazz Band’s “Jazz Nutcracker,” Don Lanphere’s “Year ‘Round Christmas” and Hans Teuber and Dave Peterson play “Silver Bells”. We’ll sample Jim Knapp’s new string orchestra “Scrape” plus Seattle Women’s Jazz Orchestra, Thomas Marriott and more. 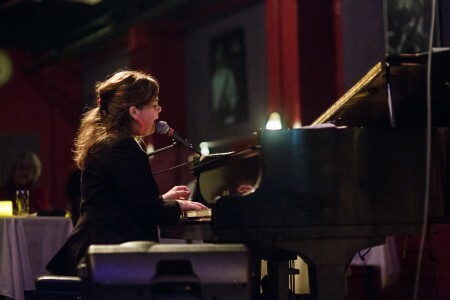 Jazz Northwest airs Sundays at 2 PM Pacific on 88.5 KPLU, and streams at kplu.org. There is also a podcast available after the broadcast. Pianist Bill Anschell was born in Seattle and began his career here, but he’s ranged far and wide since then. 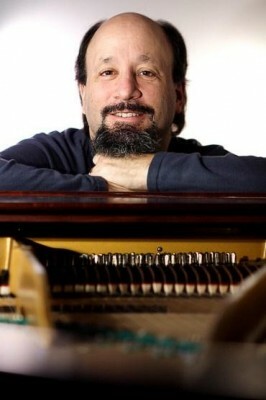 He’s been a jazz coordinator for the Southern Arts Federation, produced radio programs, been musical director and pianist for Nnenna Freelon with whom he toured and recorded, and he’s toured widely in South America. One of those tours was last year in Peru with his Seattle trio, Chris Symer on bass and Jeff “Bongo” Busch on drums and percussion. 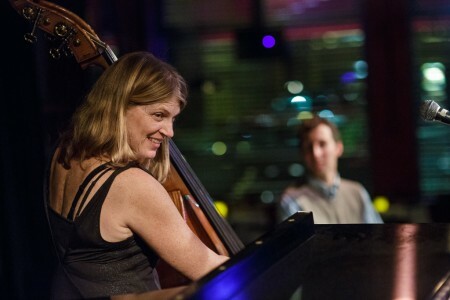 This trio was featured in this month’s Art of Jazz concert at the Seattle Art Museum, presented by Earshot and recorded for Jazz Northwest. It was a particularly apt choice for the series as it compliments the current exhibition at SAM, “Peru: Kingdoms of the Sun and Moon” which continues through January 5. The Bill Anschell Trio plays three pieces of Peruvian music adapted for this trio along with original music by the pianist on Jazz Northwest, Sunday November 24 at 2 PM Pacific on 88.5 KPLU. The program is also streamed at kplu.org and available as a podcast following the broadcast. 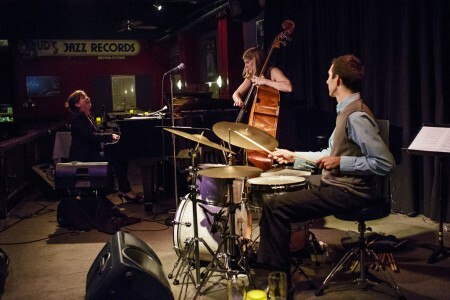 Jazz Northwest is recorded and produced by Jim Wilke exclusively for KPLU. 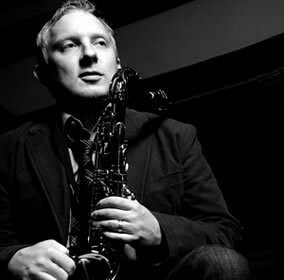 Vancouver saxophonist and jazz club owner Cory Weeds sent out an email Saturday night announcing the closing of The Cellar Jazz Club on February 25, 2014. It is with great sadness that I report as of February 25th, 2014 Cory Weeds’ Cellar Jazz Club will cease operations at 3611 West Broadway. This decision has been the hardest that I have had to make in my life. Several factors contributed to the decision such as our inability to sign what we thought was a fair lease that would ensure our long term viability at this location, the flooding problem that has plagued us for the better part of four years every time it rains and the restaurant industry as a whole. It has been a challenge for me for 13 years but after a particularly difficult past few months it was becoming abundantly clear that as long as we carried on as we were, we would have trouble prospering. Weeds has been in negotiation with his landlord to renew their long-term lease which expired last June. This week both sides agreed to part ways at the end of February, ending the club’s 13 years in the Kitsilano neighborhood of Vancouver. Weeds’ intimate 80-seat Cellar Jazz Club had built a reputation as one of the premier “listening rooms” for jazz on the West Coast. He frequently brought in top international talent (who were probably working for less than they normally would) and partnered them with many of the stellar local rhythm sections in Vancouver. Weeds does not plan on leaving the jazz business. 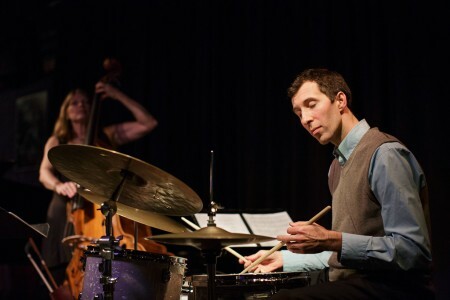 He is continuing to present music at the club through February (upcoming shows include drum legend Louis Hayes and the Cannonball Adderley Legacy Band, Steve Davis, Peter Bernstein, Gary Smuylan and more) and will present concerts at various locations throughout 2014 while he looks for a new location for The Cellar. This on top of his performing schedule and running Cellar Live records which has a number of recordings currently on the radio charts. The venerable saxophonist has performed breathtaking, transcendent concerts here in Seattle and around the globe, and has built a legacy of some of the most compelling recordings in jazz. This concert promises to be a blissful finale to Earshot 25, as Seattle’s favorite guitarist – and one of the world’s – lends his boundless talents to a quartet that also includes bassist Reuben Rogers and drummer Eric Harland. Dee Dee Rainbow, known to jazz fans for her rainbow parasol, multi-colored eye-glitter and exuberant good cheer at pretty much any jazz event that happened within 500 miles of Seattle, died Tuesday. She was 81. Rainbow was an art teacher for 30 years at Meany Middle School — her students reportedly suggested “Rainbow” as her last name, which she adopted legally — but was known for her great love of jazz. At the Monterey Jazz Festival, she started leading a New Orleans style parade down the aisle on Saturday afternoons, a tradition still going on this year, though with only a few folks. Sad to hear of the passing of superstar jazz fan and artist, Dee Dee Rainbow. She brought lots of smiles, and made lots of performers feel like their contributions meant something. She will be missed. … there was a time where you couldn’t hear live jazz in Seattle without running into Ms Rainbow. I traveled to Europe with her once and recall that she had her own rainbow coffee cup at breakfast every morning, her own rainbow bed-spread and curtains that she unpacked in every hotel room. There are so few real individuals / characters on the scene anymore, which is what makes Ms Rainbow’s passing all the more sad. She was a happy mystery to just about everyone – extremely outgoing and private at the same time. Both down to earth and impossibly “out there” as well. A sweet and kind person with an intense love for music and musicians. Pretty much all that anyone knew about her is published in her obituary. But anyone who ever met her knew they had a friend in Dee Dee. Thanks for all the rainbow blessings Dee Dee! It was always an “official” jazz event when Dee Dee showed up and blessed us with her wand. Four of Seattle’s brightest pianists—Marc Seales, Sumi Tonooka, Gus Carns, Tim Kennedy—celebrate one of the true giants of jazz piano, Bud Powell. This week’s show ranges from Portland (John Stowell, Rebecca Kilgore) to Vancouver and Victoria (The Nightcrawlers, Kelby MacNayr Quintet). 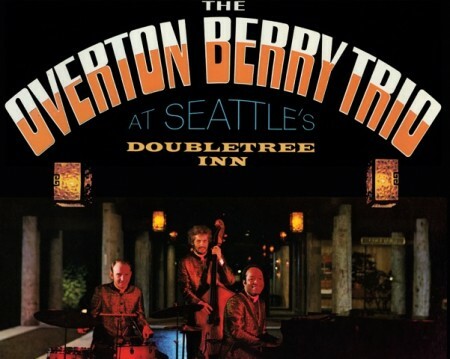 We’ll also hear from the young (Ariel Pocock) and the … not so young (Overton Berry, Chuck Stentz & Joe Baque). We even have two Bills on the bill (Bill Anschel and Bill Frisell). News about where to hear some of these and other NW jazz artists is always part of the show, and we’ll look at what’s ahead for the last week of Earshot Jazz Festival 25.